Radiant cut diamonds are named after their intense brilliance. They were developed in the 1970s and emulated far and wide when the original patent lapsed. Their ability to concentrate light leads radiant cut diamonds to highlight the best in jewels. Radiants are also adept at preserving carat. 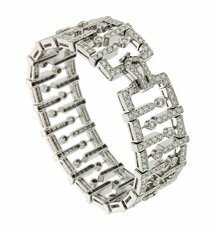 Mixed cut diamonds combine step cuts’ weight saving properties with brilliants’ shine. Face up, radiant cut diamonds are rectangular with beveled corners like an emerald cut diamond. 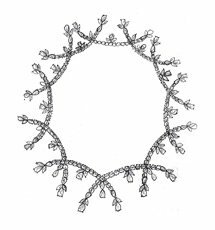 The crown has a broad table facet edged with parallel upper girdle facets. Below is a pavilion which provides intense brightness. 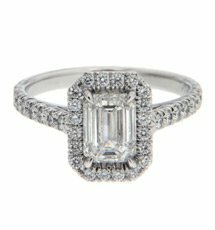 Those who love shining diamonds may consider styles like the radiant cut. The blend of glitter with an unexpected shape is eye catching. 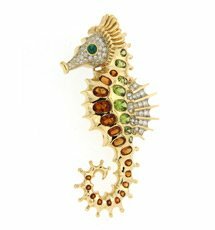 Its ability to improve the color and apparent clarity of its jewels is another appeal. An ordinary diamond may take on uncommon hues or apparent clarity as a radiant. 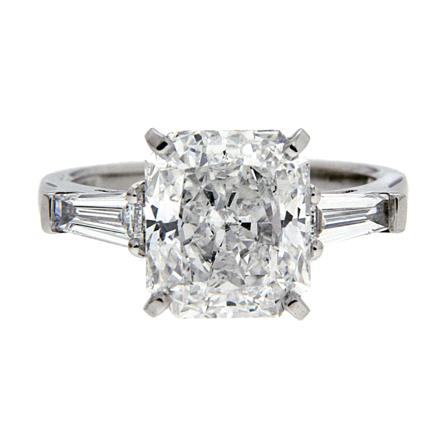 When browsing radiant cut diamonds, keep symmetry in mind. A diamond’s sides should be parallel with even corners. The gem should be neither too thick nor too narrow. Its culet, or bottom most point should be centered beneath the stone. This helps light travel evenly through the stone.